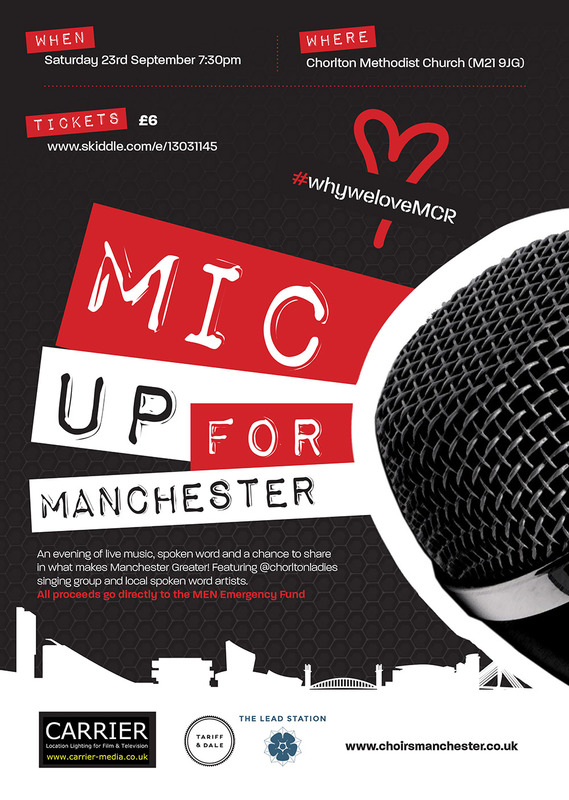 I’m so excited that @Chorltonladies are headlining’Mic up for Manchester’ to raise funds the MEN emergency fund on Sat 23rd Sept 7:30pm. It will be an evening of spoken word, acoustic music and singing. We have been sponsored by The Lead Station + Carrier Media Ltd and you can purchase tickets via http://www.skiddle.com There will be Manchester Bee badges and postcards available to buy on the night also courtesy of http://www.sophiecunninghamillustrator.co.uk Come and join us and share in what makes Manchester the best place to live! Next → Next post: Congrats to The NQ Singing Group for their performance with Canter Semper!